Staying healthy is something we all strive for. And making that effort easier is the goal of smart wellness devices. These products range from fitness trackers to calorie monitors to comfort regulators. All of which make it easier for you to reach your health goals and to live with peace of mind knowing that you’re staying in control of your health and wellness. Movement is part of health at any age. While we all can’t be out scaling mountains or running marathons, it’s important to keep active on a consistent basic. One way to make sure you’re getting the activity level you need is to wear a fitness tracker. There’s ones for your wrist, apps for your phone, and simple pedometers that clip onto your clothes. These devices can monitor things like steps, heart rate, sleep patterns, and even your weight by pairing with Wi-Fi scales. Your home environment can have a major impact on the health of your entire family. 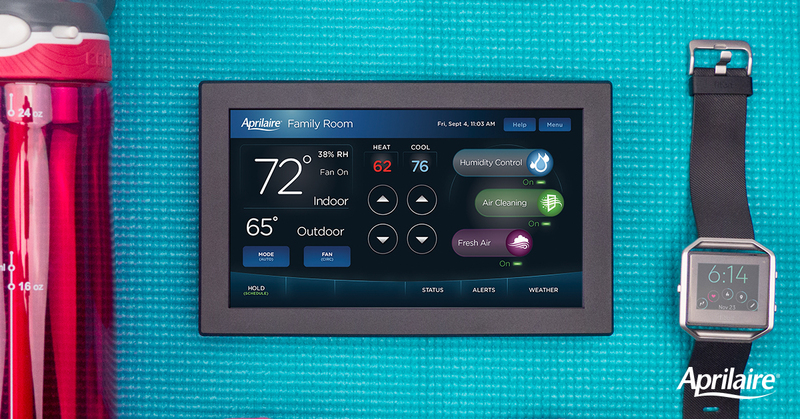 Smart thermostats make it easy to get the perfect temperature and humidity level, and to schedule air cleanings if your home is equipped with an air purifier. That means your family can stay comfortable all year long, enjoying ideal temperatures for sleeping, fresh air during allergy season, and relief from extreme heat or cold outdoors. It’s all controlled from your phone or by using a smart personal assistant (like Amazon’s Alexa). You spend around one-third of your day in bed so it makes sense that it should be a place you feel comfortable. New technology allows you to adjust the firmness of your bed using an app. Some devices offer automatic adjustments that can change the temperature and firmness of your mattress based on the time of year, your workout schedule, and other factors you select. It’s easier than ever to monitor our own health. Blood pressure readings went from the doctor’s office to the pharmacy, and now you can do them in the comfort of your own home. Smart blood pressure monitors track your readings over time, giving you a better idea of your overall health by showing trends and patterns. And you can easily show the results to your doctor when you go into the clinic. Similar devices clip onto your finger and read things like your pulse, blood oxygen levels, and breathing rate. They send all the information to your smart phone for easy record keeping. Next Next post: Ask Aprilaire: What Can Your Alexa Skill Do for You?